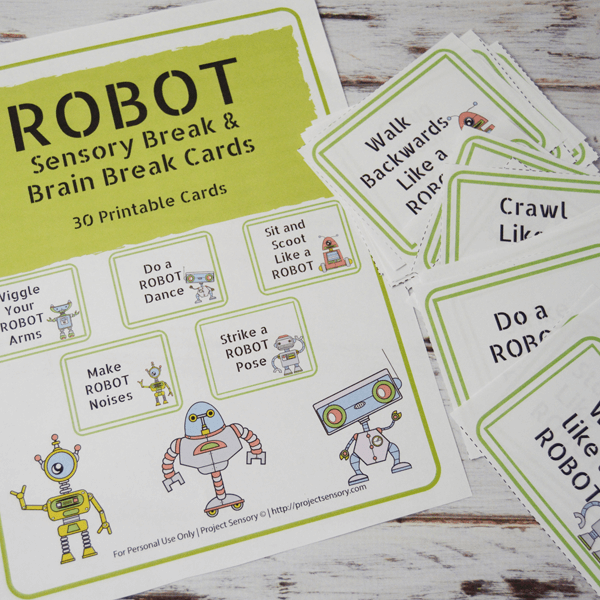 These printable Robot Brain Break & Sensory Cards work well for boys and girls alike! The movements are simple, so they won’t be stressful for your little one, but will help them to move. If a child has been sitting for an extended period of time, give them a brain break! Let them dance, wiggle, and create with their bodies so they can engage their minds! 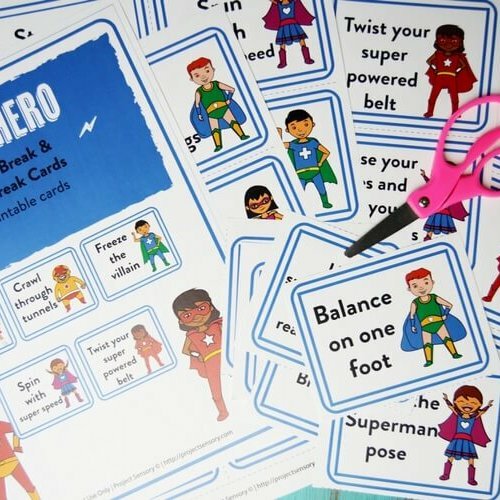 Using these brain break cards for as little as five minutes a day can make a big difference in a child’s development! Studies have shown that children who utilize brain breaks will increase their upper body strength, and muscle control. This muscle control helps with fine motor movements like pencil movement, and the ability to sit in a chair correctly. These can make a world of difference for a child in a school setting! These cards utilize fun movements that will bring a smile to a child’s face! 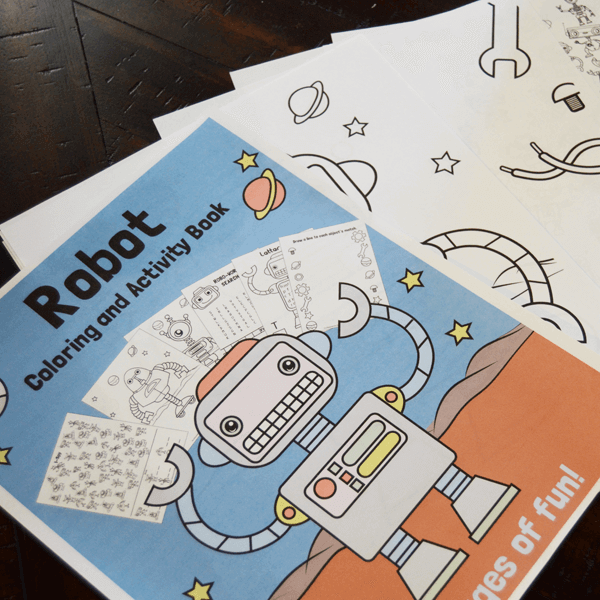 They include things like wiggling, dancing, spinning, and even making robot noises. 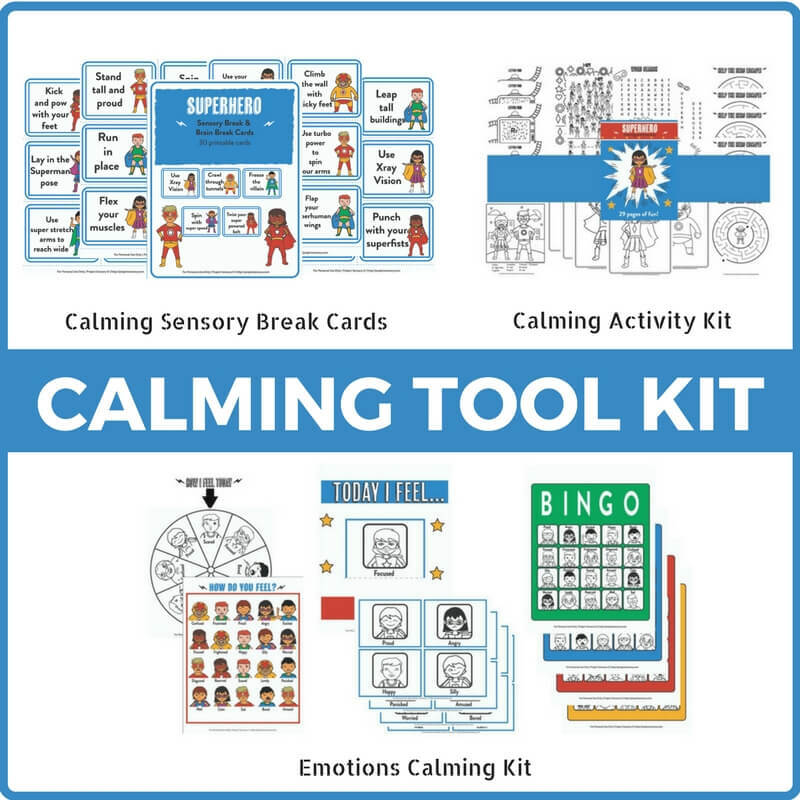 These cards are designed to calm a child after a high-intensity moment, to engage their bodies after sedentary movement, and to give their brain a break after long periods of cognitive stress. These cards can be printed in color, or they look great in black and white as well. For cards that can be used over and over again, print on cardstock, and laminate them. Each sheet will print on a standard, 8.5” x 11” sheet of paper for ease of printing. 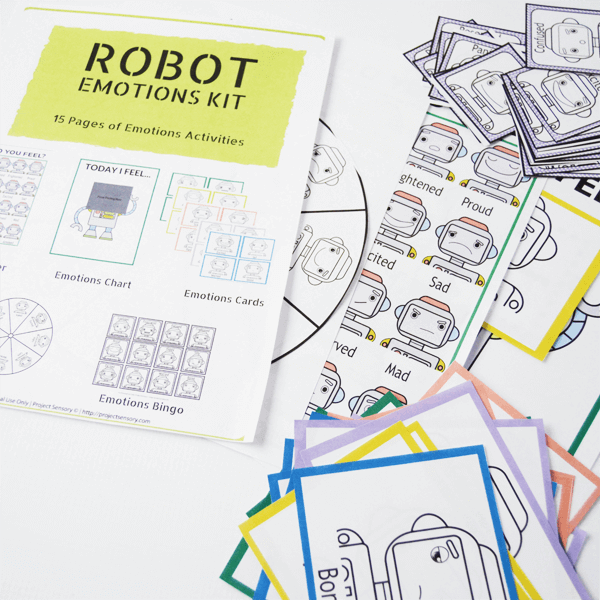 Use them over and over again any time you need to engage children in a brain or sensory break! *Good for first time purchasers only! Handcrafted with by Project Sensory.